very gentle energy healing technique. Reiki enhances our connection to Universal -Life Force Energy. This connection supports our internal, physical and external energy fields to flow into balance. In this place of balance Reiki supports us to be in our healthy, natural and harmonized state of being. Here we have the opportunity for healing within our physical, emotional, mental and spiritual selves. 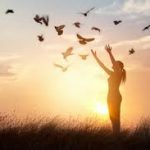 Feeling tense, anxious, disconnected or unwell lowers our personal energy levels and our capacity to heal and transform is reduced. The healing capacity of Reiki energy healing is limitless. With Reiki healing our body draws upon the Universal Life-Force Energy that Reiki offers. This extra flow of energy energizes our innate ability to heal. During a healing we begin to feel more at peace as our energy fields harmonize and that which no longer serves us is gently released. 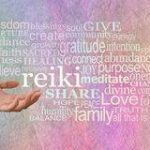 With Reiki we can experience personal transformation of our general health, personal acceptance, serenity, relaxation, well-being, vitality, inner peace, self confidence.